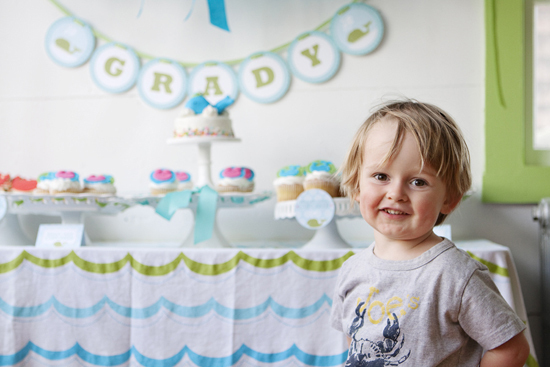 Grady had his heart set on a whale party for his upcoming 3rd birthday. Given as two year olds change their minds quite frequently, Grady asked that we also have crabs at the party about 2 weeks before! 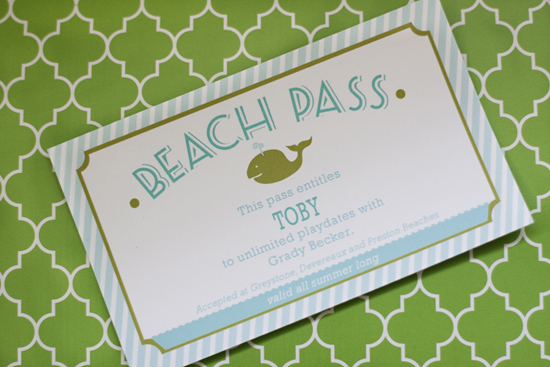 Jayme Marie Designs was amazing about adding crabs to the mix of all of our custom food labels and paper products. 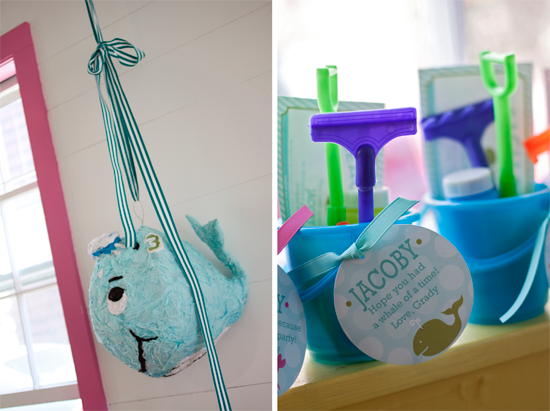 We had an awesome custom whale pinata by etsy shoppe Whack. 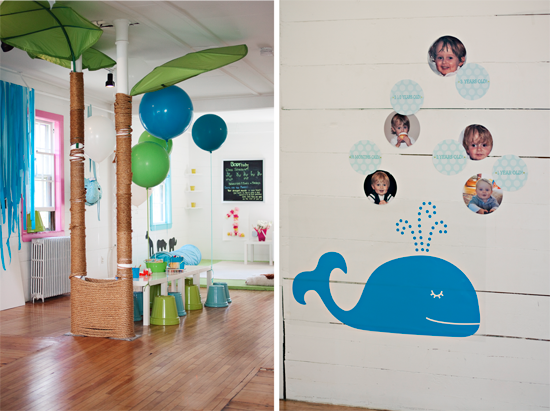 We used giant 3 ft. round balloons in blues and greens to decorate the space. 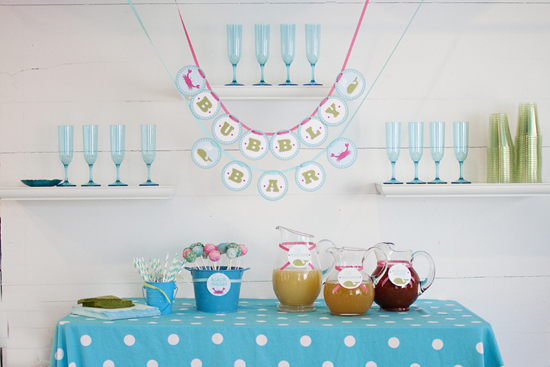 As a unique twist on the birthday photo banner, with used an x-large whale decal on the wall with age "bubbles". We used circular pictures of Grady and coordinating bubbles with the age on them. Mini-ocean themed coloring and sticker books from amazon were at coloring stations but mostly the kids enjoyed the "whaley good cupcakes" and "crabby cookies" and danced around to "under the sea'. 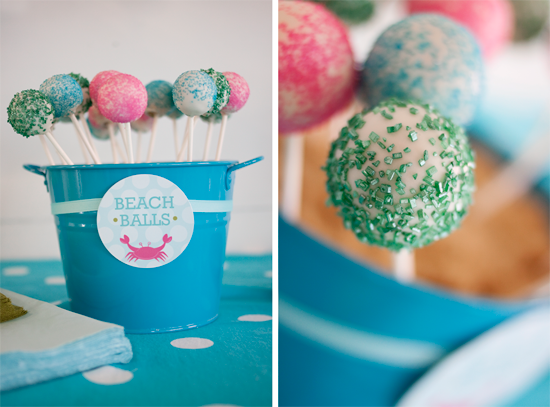 We placed the cake pops in aqua bucket filled with brown sugar to simulate sand and labeled them "beach balls". 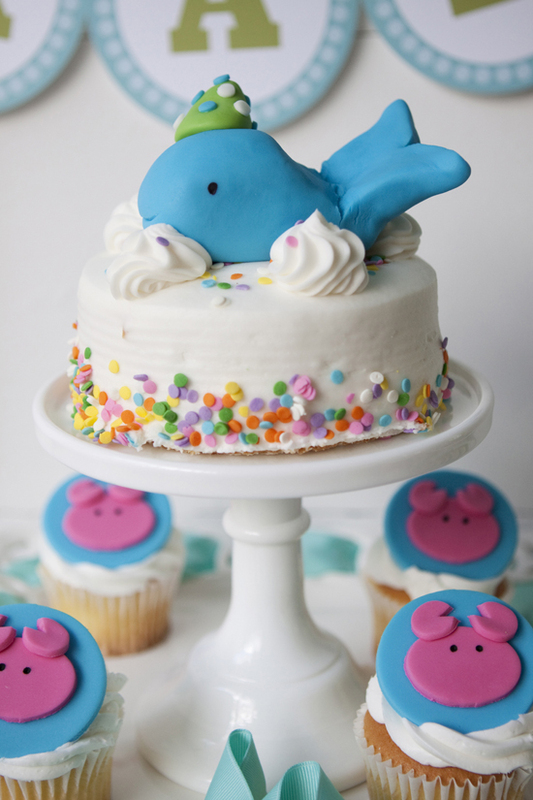 The dessert table had fondant whale and crab toppers and a matching whale topper for the baby cake created by Cakes and Kids. 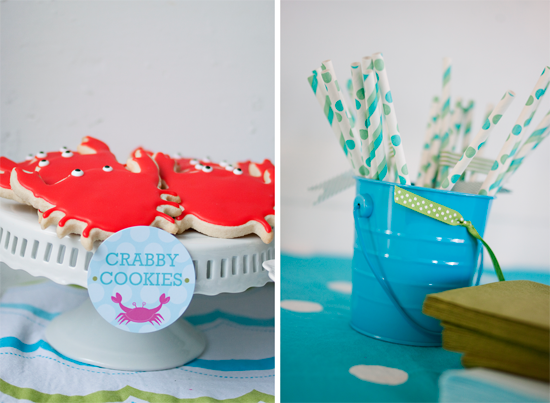 Sugar on Top created the adorable crab and whale cookies and cake pops. Candy jars were filled with "gummy sharks" and "goldfish" for snacks. 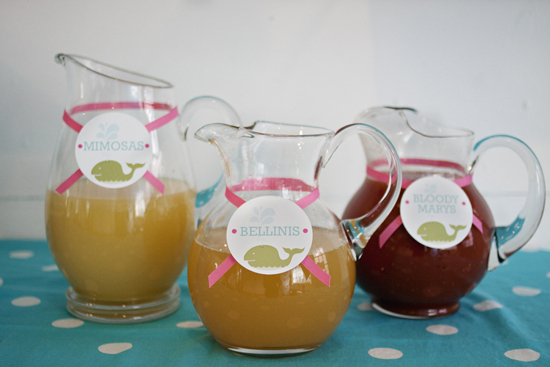 Meredith Nelson did an amazing job capturing the details and the spirit of the party! I LOVE LOVE LOVE this! I'm saving it for next years party ideas! I love the blue & green together. And those cupcakes look amazing! 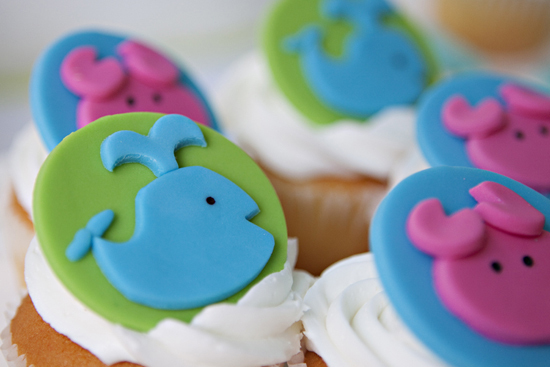 thank again for featuring lil hoot's whale party! That must have been a lucky find with the wave fabric, right? Oh, I LOVE LOVE LOVE this! I was just sitting here thinking about my grandfather who recently passed away- GRADY BECK- and seeing this post just made me smile! 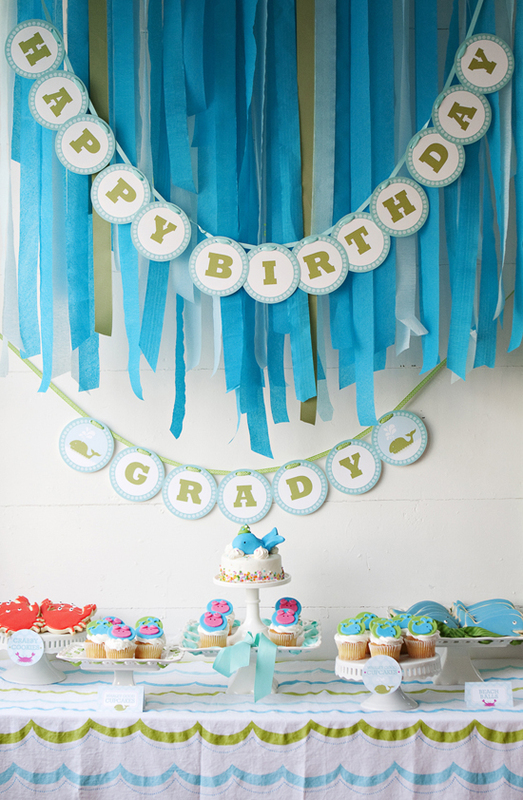 We are expecting a little girl in Sept but if she had been a boy her name would've been Grady, and I so would've done this party! ADORABLE! I love everything in this party! The cake is the cutest thing! Your posts are so amazing and inspiring! So dang cute! Great job Sarah. Seriously darling!!! 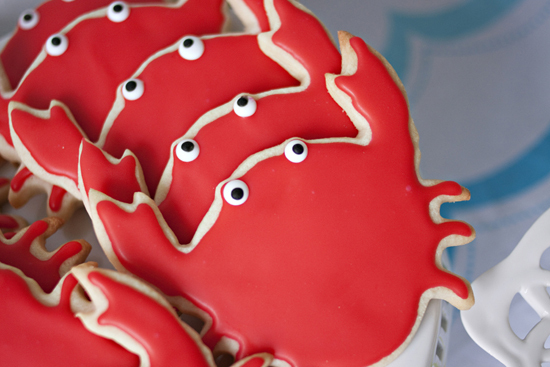 HOW DID YOU GET THOSE CRAB COOKIES!!! also! those cupcake pieces where did you make those? What a cute party! I was wondering where you got the wavy tablecloth? 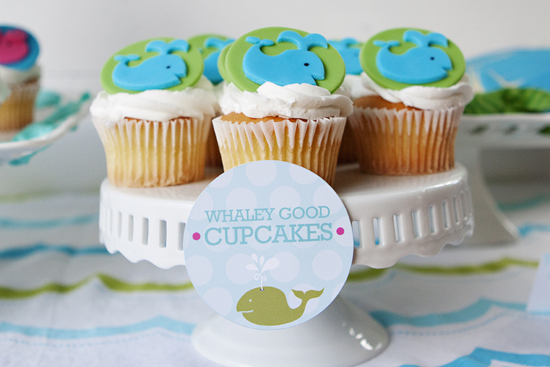 I'm doing a Whaley Cute 1st birthday for my son next month.